Here’s one from last month that slipped through the cracks. I was walking a local open space area when I spotted this handsome fellow as he kept watch for a meal. He wasn’t too inclined to hang around and have his picture taken but at least gave me a pretty cool launch shot. Don’t let the size of these little ones fool you. 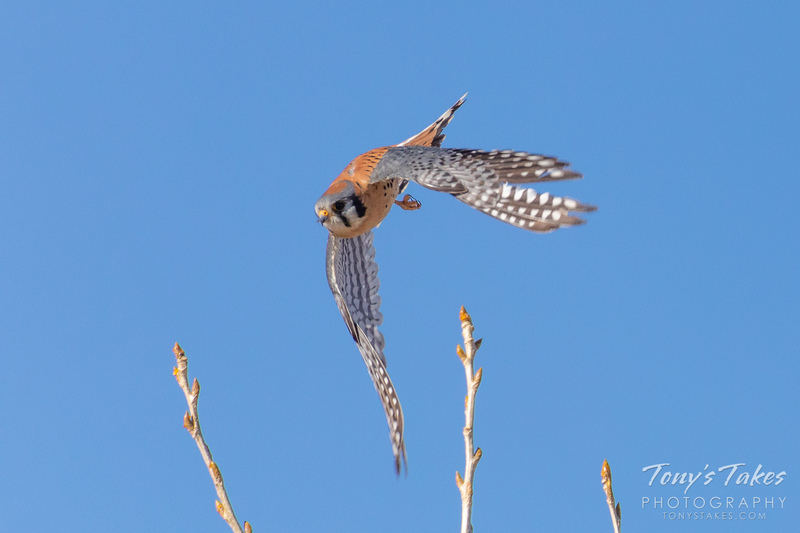 While they are North America’s smallest falcon, they are just as capable of a hunter and as vicious of a predator as any raptor.